Life is Strange 2‘s first episode goes live in a few days time. In preparation for the coming release, Square Enix and Dontnod have showcased a launch trailer. The trailer features new footage, a few more story-related details, and a moving look at a bond between brothers. In the initial teaser trailer, an on-duty police officer comes across a fight in a suburban neighborhood. Through the dash cam in his squad car, we see him intervene. What’s not on display, however, are the events that follow. The aftermath of the confrontation gets all the attention, as a gunshot goes off and the cop is thrown backwards with excessive force. 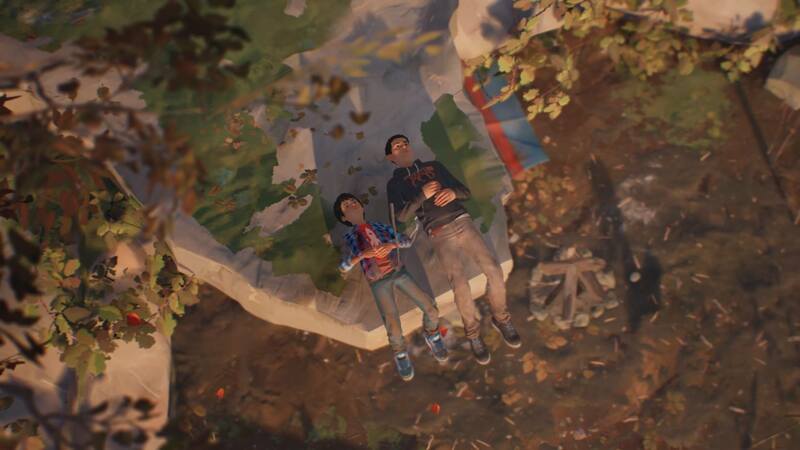 The reveal trailer for Life is Strange 2, also teased the Diaz brothers’ run-in with the officer and painted a fairly vague picture. The launch trailer offers a little more insight. A young man presumably fighting the brothers appears, his torso bloodied. It seems this is what escalated the situation when the officer arrives on scene. Of course, exactly what happens to propel the officer backwards remains unseen. The brothers themselves receive the bulk of the launch trailer’s focus. They’re on the run after the incident, trying to survive. The eldest of the two, Sean, takes responsibility for his sibling, Daniel. Already, their bond seems real, like something worth protecting. No doubt these themes will drive much of the narrative, akin to how the bond between Max and Chloe informed progression of the original Life is Strange. Life is Strange 2’s first episode goes live on September 27, 2018.